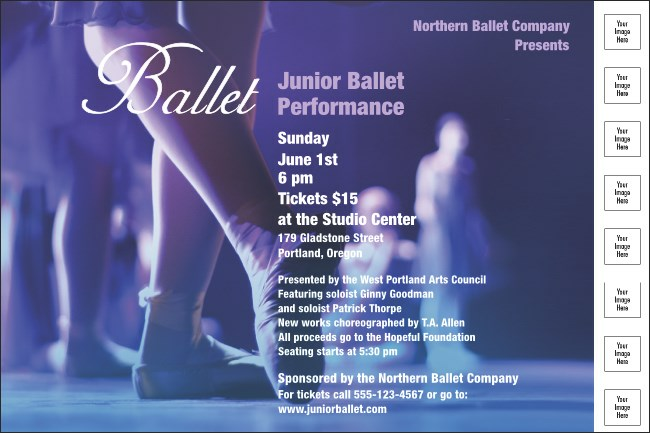 Capture the fascination of balletomanes and new comers to the art Fundraisers, professional performances and even recitals can benefit from the boost that the beautiful Ballet Poster will deliver. Printed in shades of blue and purple, the poster template features images of ballerinas and space for eight custom images. Make your event a classic with promotional materials from TicketRiver.com.au.